Get yourself a pair of oversized black shades, a fab honey-blonde pageboy bob wig, and some fantastically fashionable outfit. Anna tends to wear bright florals and loud patterns in simple, clean cuts. Extra points if you wear her favored fur stoles and a Starbucks cup. Venti, naturally. How epically fantastic this costume would be! The chance to sport Piaggi's heavily rouged cheeks and blue hair without fear of scorn because you are copying the original. Isn't that what Halloween is all about? Isabella Blow: the grand dame of fanciful fashion and muse to Alexander McQueen and Philip Treacy, Isabella Blow would be the perfect costume for the avant-garde fashionista this October 31st. 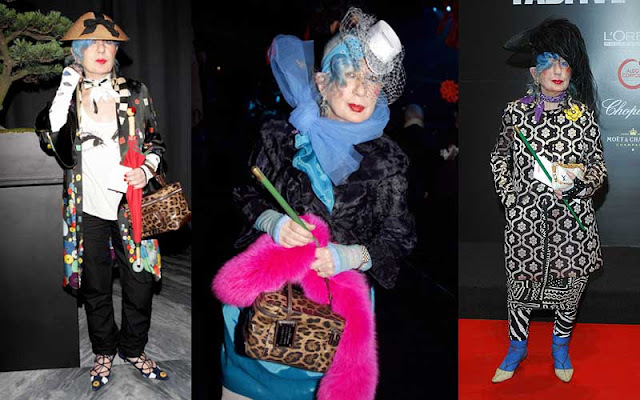 Betsey Johnson: dread your hair, wear hot pink and psychedlic prints, load up on charms and bangles, and cartwheel the night away as the former Factory favorite. Rachel Zoe: take a note from Kelly Ripa (who parodied Zoe on the Halloween episode of Regis & Kelly) by copying Rachel's signature fur vests, oversized sunnies, and deadpan tone of speech. 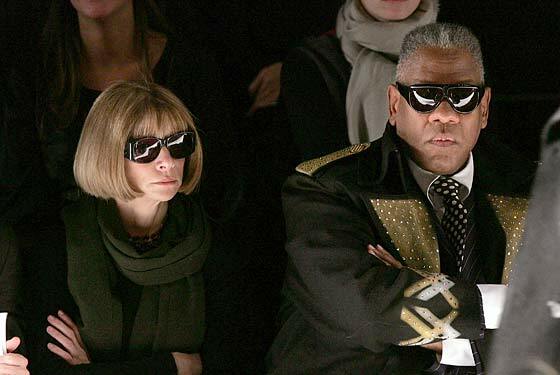 Anna Wintour is looking beautiful.. I really liker her pics.